A big thanks to Kim for sharing another one of her great tips and deals. 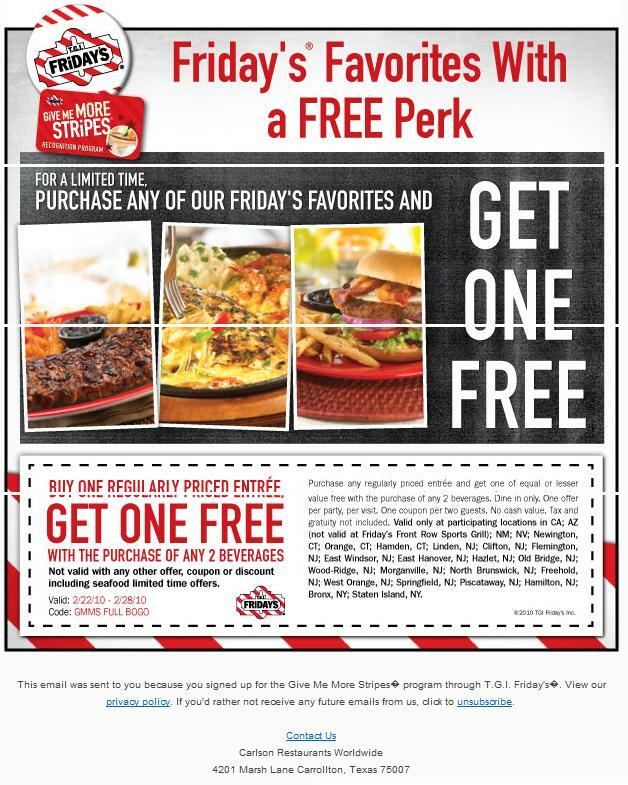 This time – a BOGO coupon to TGI Friday’s – just in time for the weekend. Click on the image to the right, increase the size and print out the coupon. It expires on 2/28/10, so use it now or lose it forever.